iMovie is one of the defining programs that has allowed Apple to dominate the world of home media production. It is the home option for non-linear video editing that actually made post-production a reasonable possibility for home video producers, and helped the transfer to the digital world of current HD formats. With iMovie you will find that you have instant access to the tools that once cost thousands of dollars, required large scale industrial facilities, and the kind of training that most people would never be able to come across. Now you can use your home computer to compile videos that would make the independent filmmakers of the past jealous. It's success can really be traced back to its absolute usability and the simplicity that is perfect for small projects, but it still offers a wide range of features and will take some education to get to it. Whether it is creating a project, importing media, editing content, altering and using effects, or exporting the project, you will have to learn how to deal with this useful palette. Here's a look at a number of iMovie tutorials, segmented according to different areas they focus on. Before you choose to use iMovie, you may find yourself asking a lot of questions. Is it the right software for you? What else do you need besides it? What kind of video equipment and hardware do you need? Are there any other choices out there? For people considering – or beginning with – iMovie, there are a lot of things to consider. This program could be the hallmark of your home video production system, and the wrong choice can really set you back. Here are a series of iMovie tutorials that will help you to get yourself up to speed to get started using the software. What Camera Should I Use With iMovie? import different files, and this requires multiple file types and codecs. Some of these files are standard for iMovie, and others have a little difficulty being read by this program it their original form. 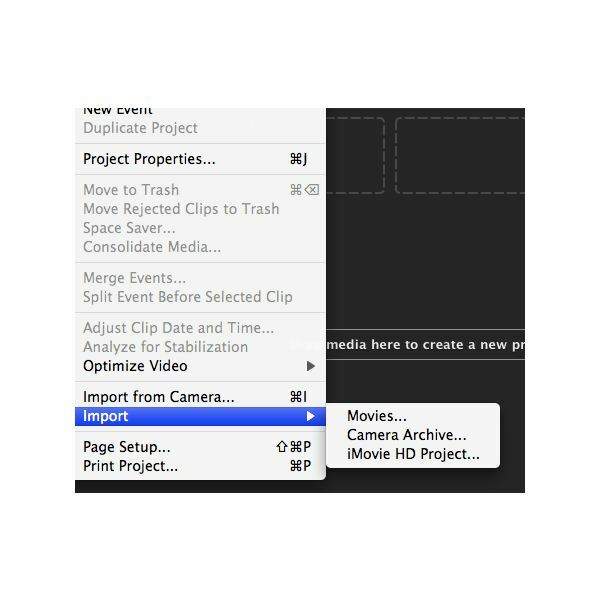 Here are some iMovie tutorials to outline how to import different types of media. The editing of iMovie is fairly intuitive and offers the basic functions that all non-linear video editing programs do, except that it is often used for much more simple and home uses. These functions are all part of arranging a final video project, or can be used for a single function of repairing or combining clips. These iMovie tutorials will highlight some of the more important tools that they provide as part of their editing format. Your project is not intended to stay within the confines of iMovie, but instead the finished editing project is to be exported so it can exist as a movie. There are a number of different ways to export the video, often depending on whether or not you want to watch it in a digital format, on DVD, somewhere online, or an alternative location. Here are some of the more common ways that iMovie offers you to export your project once the cutting has come to an end. iMovie really gains much of its success from its continuity and reliability, but it can have problems performing even the most basic functions. If you are having problems you may not even know what computer or software tool to turn to, and that is why this subsection of iMovie tutorials is designed to help you troubleshoot the issues you may be experiencing. The troubles you have may be based around your computer, your software, or even your files, though it can be hard to decipher this without a complex knowledge of digital video post-production. 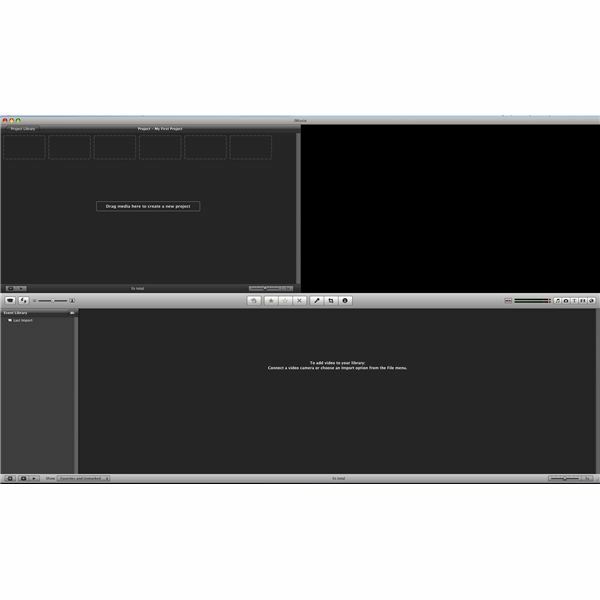 Take a look below and find the problem that you are having with iMovie. iMovie, like most of the Apple multimedia programs, is a constantly evolving piece of software that will change as the users and hardware that supports it evolve. iMovie is constantly gaining add-ons to deal with codec and format changes, as well as processing speed and the needs for graphics. You can expect most of these iMovie tutorials to remain relevant permanently, but understand that there will be changes as new versions are released. This may eventually result in a merger between iMovie and Final Cut Pro, but until that happens, this guide will get you through the important areas of the software. All screenshots captured by author.